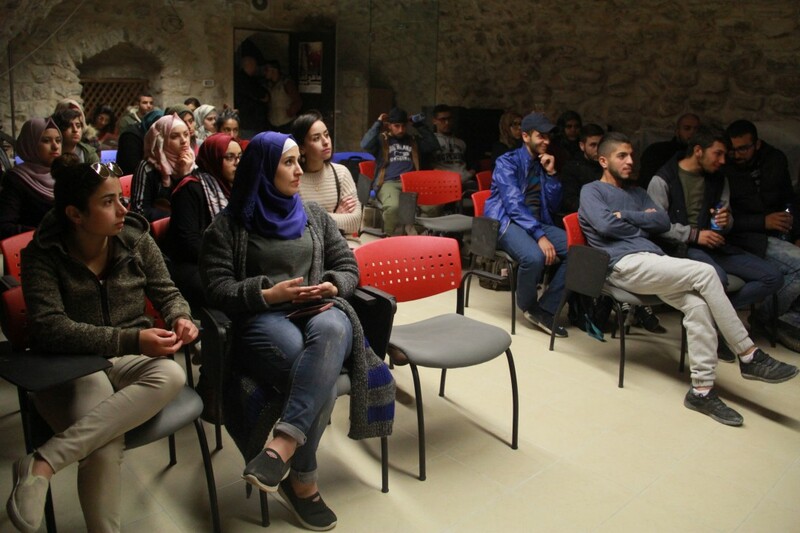 Burj Al-Luqluq Social Center Society hosted a discussion of Shashat 10th Movie Festival “The Woman Cinema in Palestine at Al-Quds University Library in the Old City of Jerusalem, in cooperation with Shashat. The movies were presented in 17 Palestinian cities and two camps in cooperation with 8 universities and 14 organizations and schools in Jerusalem, the West Bank and Gaza. It is worth mentioning that around 80 male and female Jerusalemite youth attended from different universities and places. It is worth mentioning that “What is Tomorrow” festival is organized by Shashat and funded by the EED, NED and CFD.